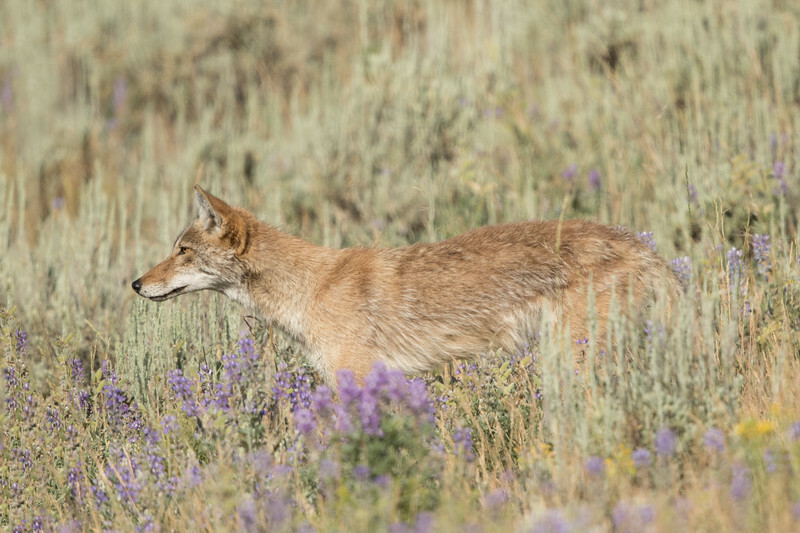 Wildlife of the Western United States in natural settings. I saw her out the living room window as I made my way for morning coffee. 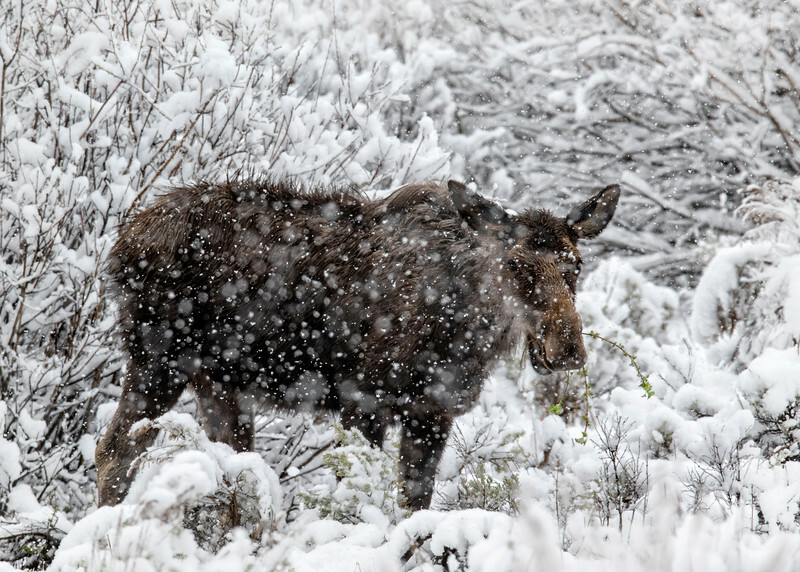 She was lying in the snow next to the house across the street so I jumped in the car and took a shot out the car window, since most wildlife around here are very car-tolerant. Things were looking a little ordinary until two magpies jumped on board and started pecking for snacks on her back. 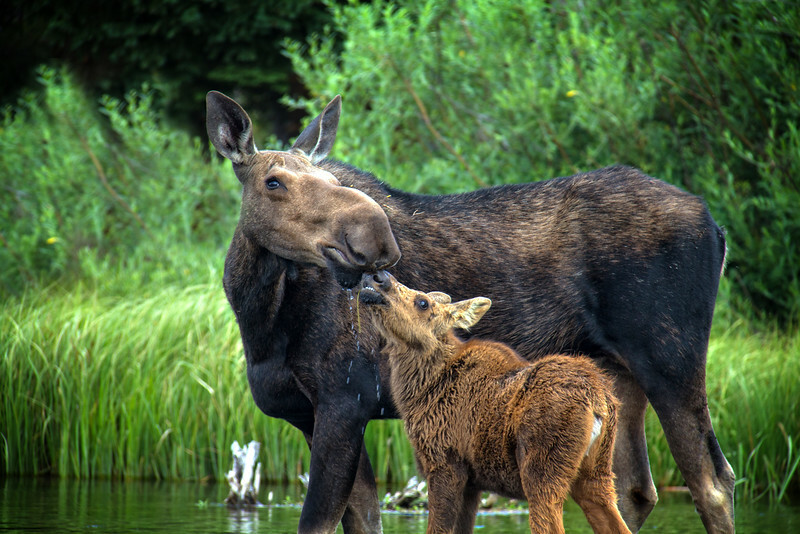 A moose calf gets some lovin ' from Mama. Taken from my kayak on the Henry's Fork of the Snake River in Island Park, Idaho. 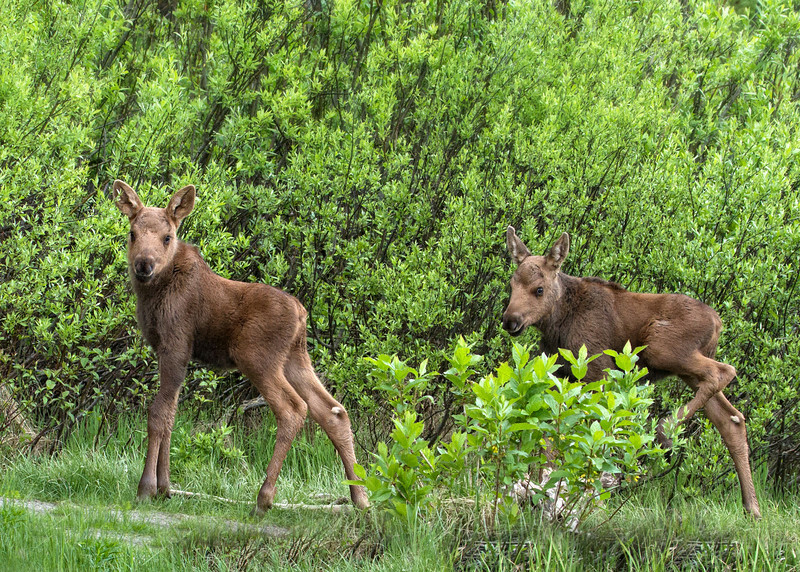 This was taken during the moose rut in Island Park, Idaho. This handsome guy was pursuing a cow moose who was happy to have his attention. "Dad, when is spring?" "Son, this IS spring." Big Sky, Montana has a resident herd of big horn sheep that are often seen quite close (and sometimes on) Lone Mountain Trail (aka Spur Road), especially after a big dump of snow when the road is salted. This was taken after a big fluffy dump of snow in March 2014. Big horn sheepBig horn ramRamBaby bighorn sheepBig Sky MTMontanaLone Mountain Trailwintersnow. 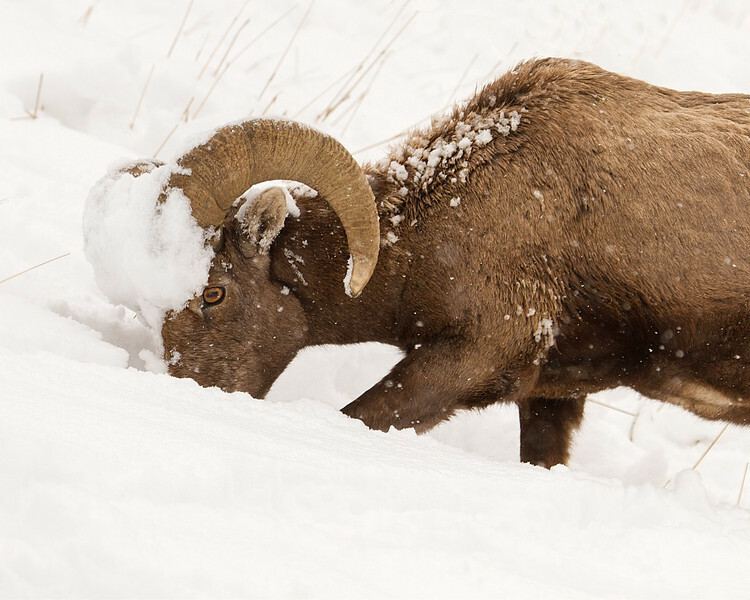 A big horn sheep with a crusty snow coverend face in Big Sky, Montana. Big horn sheepbig horn ramramwildlifewinterBig Sky MontanaMontana. The perils of foraging in deep snow. Taken off Lone Mountain Trail, Big Sky, Montana. Big horn sheepBig horn ramRamWildlifeBig Sky MTMontanawintersnowLone Mountain Trail. 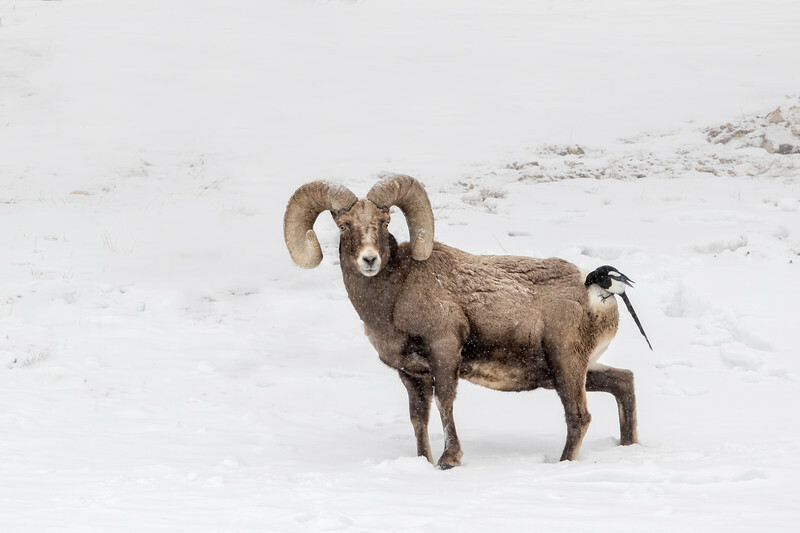 With snow in his curl, this Big horn leads a line of rams through the snow in Gardiner, Montana. Big horn sheepbig hron ramramswildlifeGardiner MontanaMontana. Big horn sheep enjoying the last rays of sun. This was taken in Gardiner, Montana, just outside of Yellowstone National Park. 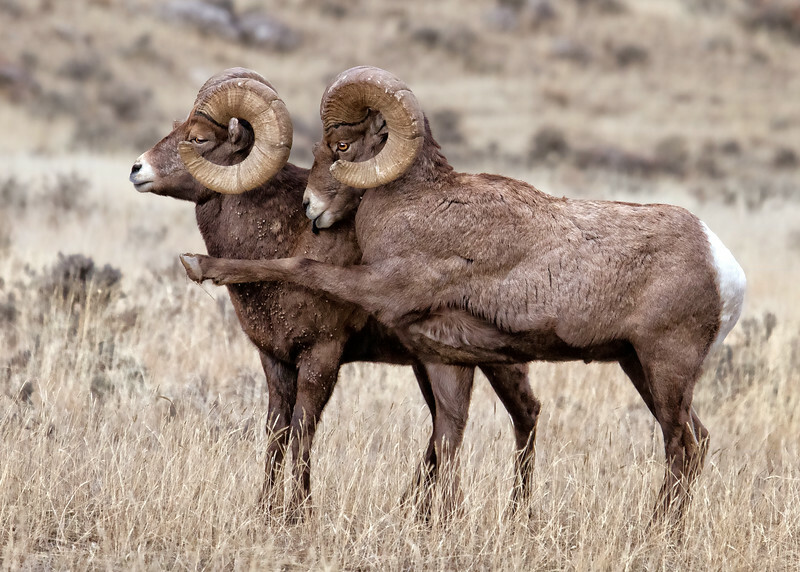 Big horn sheepBig horn ramramwildlifeGardiner MontanaMontanaYellowstone National Park. 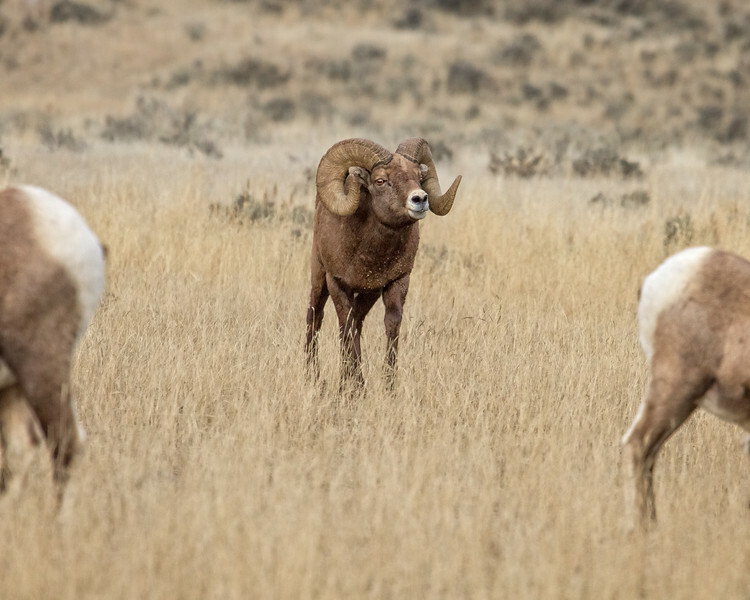 His horns showing signs of wear, this Big Horn Ram poses in the Lamar Valley of Yellowstone National Park. Big horn sheepbig horn ramramwildlifeYellowstone Naitonal ParkWyoming. This was taken in Big Sky, MT, right off the street I live on -- how sweet is that? I shot out the car window and her expression seems to say "Please drive on and don't make me move through this stuff!" ElkCow elkBig Sky MTMotanawildlifeElk in Winter. This eld calf was wandering around the meadow full of mammas and babies looking for his mother. It appeared that this cow elk was letting him know she was NOT his mamma. 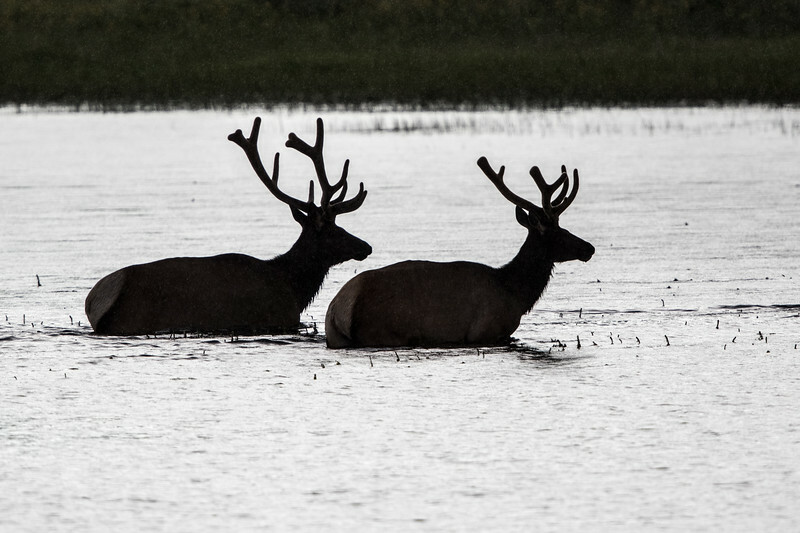 This photo was taken along the Madison River in Yellowstone National Park. Elkelk calfMadison RiverYellowstone Naitonal ParkWyomingwildlife. This bull elk was exhibiting rut behavoir, rubbing his antlers on whatever is handy -- trees, brush, mud, etc. and bugeling to warn off rivals for his harem. 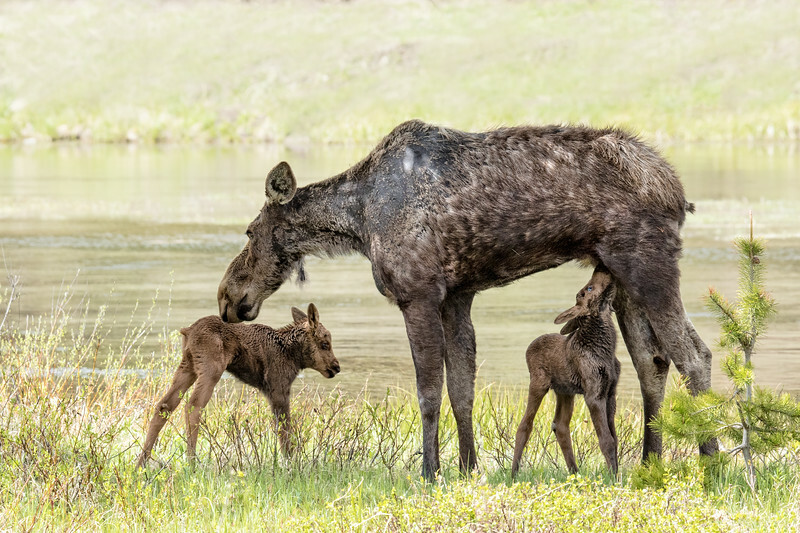 Photo taken in Yellowstone National Park just outside of Gardiner, Montana. Elkbugling elkelk rutrutbull elkYellowstone National ParkWyomingGardiner Montana. 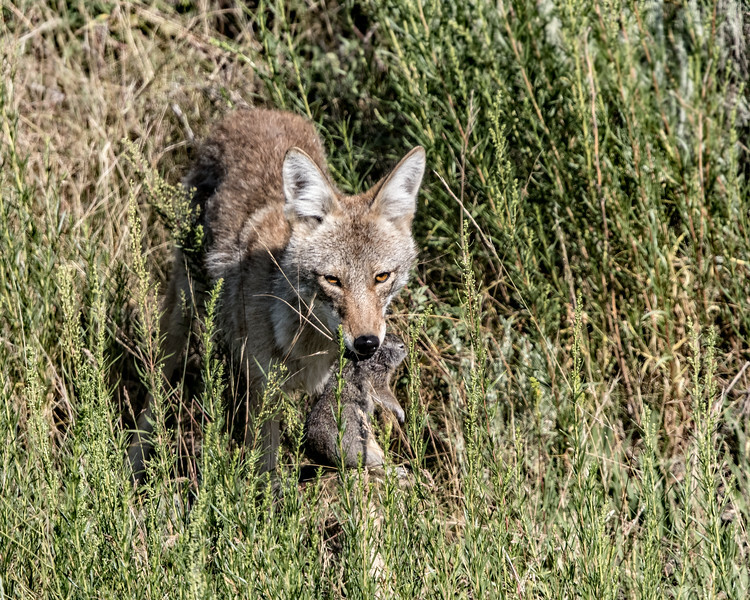 This red fox in the Hayden Valley of Yellowstone National Park seemed to be following tracks bigger than his own. Red foxfoxHayden ValleyYellowstone National Parkwildlifewintersnow.